Hello, Hello! Happy Monday to you. In case you missed any of my posts from January and February, here they are. Simply click on the photo or the link to be directed to the entire post. 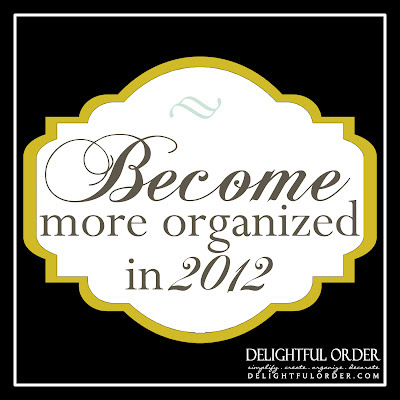 In January I shared some tips on Becoming more organized in 2012. I showed you the Kitchen and Breakfast Nook that I decorated for a client of mine. and the Family Room in her home. Then I showed you her guest bedroom and the home tour of her place. In February I got back to the organizing and showed you some Simple Bathroom Storage. and talked about Organizing the Bathroom Cabinets. and the iPod Valentine Candy Tutorial and gave you the free printable as well. Then I gave away one of my child message center prints. The prints are available in my shop HERE AND I'm working on a couple of different sizes right now too. and the last post I shared in February showed you how I labeled my pantry. 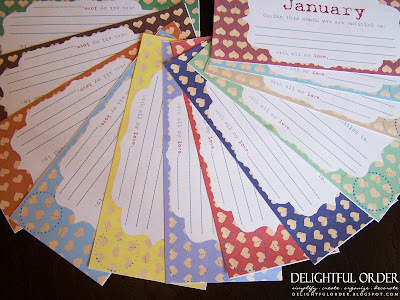 That wraps up the January and February, 2012 review here on Delightful Order. 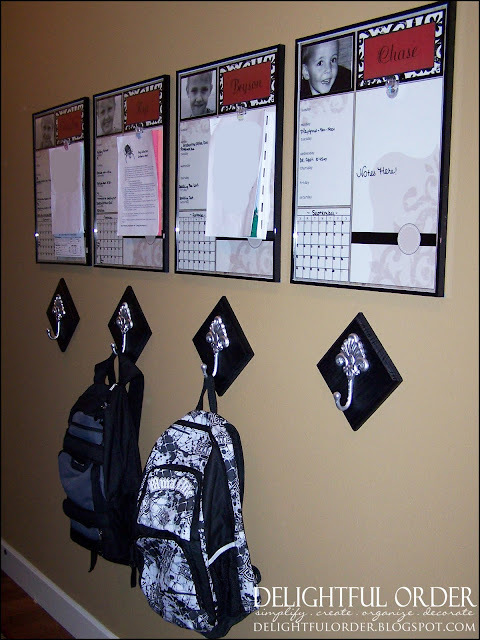 Make sure to mark your calendars for the Spring into Organization Blogger Home Tour and Link Party coming up. March 26th - 30th! It should be loads of organization fun. New to your blog! And boy am I inspired to get on this bandwagon this year! I love your closet labels! I really need to get my hall closet in order. Thanks for sharing!